Fawad Khan, despite being MIA from TV screens always finds his way back into the limelight with his photoshoots. 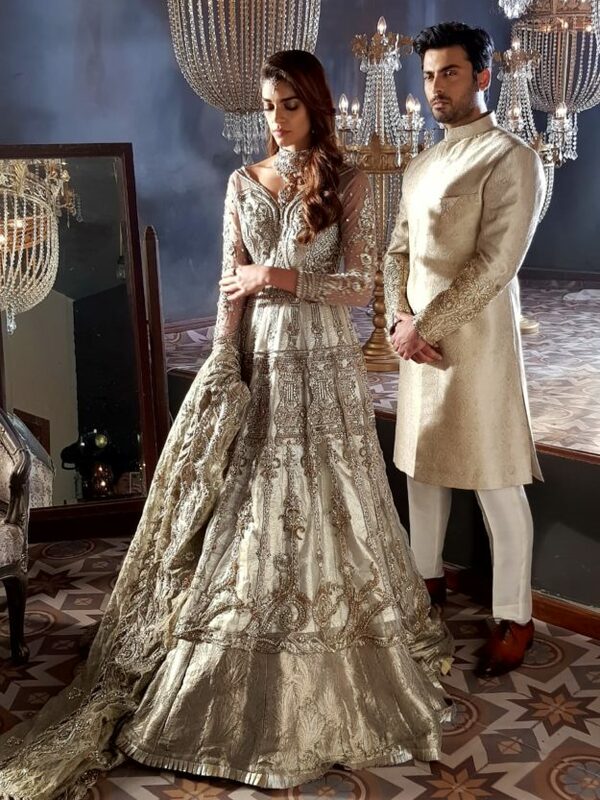 Earlier, the Khoobsurat actor was seen modelling for his wife Sadaf’s collection, under the banner of SFK Bridals with his Humsafar co-star Mahira Khan, which was featured in an Indian magazine Brides Today. 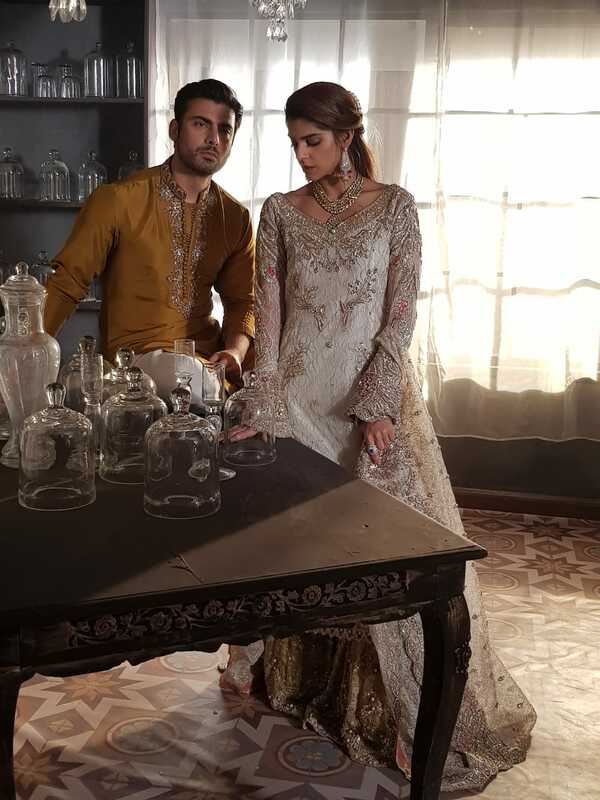 Now, SFK Bridals is all set to launch their new collection featuring the heartthrob with his Zindagi Gulzar Hai co-star Sanam Saeed and my-my the pair looked breathtaking. 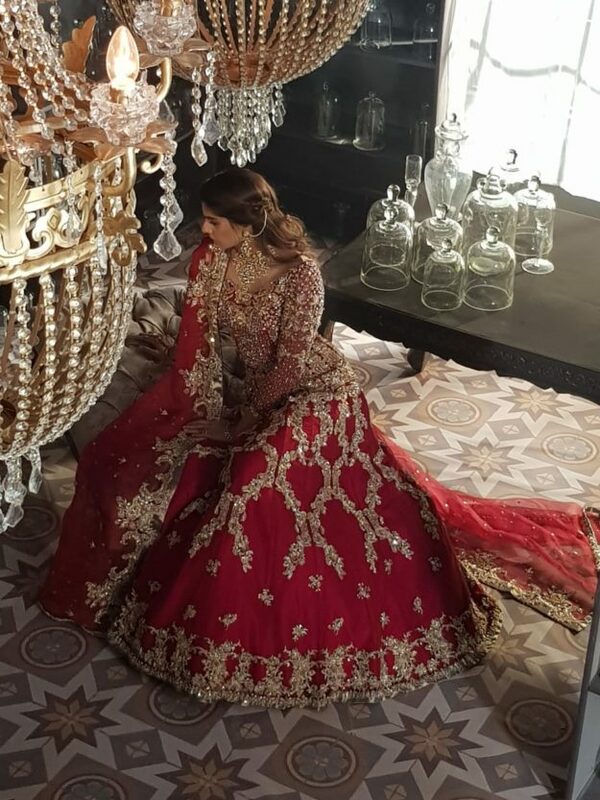 Donning a silver and gold voluminous gown, Sanam looks like a fairy in the ensemble. The heavy neckpiece highlighted Sanam’s toned collarbone perfectly. The dupatta featured some cut-work exhibiting Sadaf’s craft as a designer. Fawad, on the other hand, looked dapper in a cream sherwani, which was fashion-forward yet classy. Next, Sanam wore a white ensemble with heavy gold and silver embellishments. Similarly, Fawad also opted for a mustard kurta with gold and silver work on the collar. Following this, the starlet looked like royalty in a red gown, which was both traditional and modern with the perfect cuts and embellishments.